>New ECE Book is "First-of-its-kind"
New ECE Book is "First-of-its-kind"
ECE Professor Christos Christodoulou has announced the publication of "Antenna Design for Cognitive Radio." "The book is a first of its kind," said co-author Christodoulou, "it describes in details the different techniques and procedures used to design antennas that are specifically tailored to be implemented in a cognitive radio setting." The book debuts with an introduction to cognitive radio and software defined radio, then continues with a system overview and a discussion of all the various components that compose a cognitive radio system. 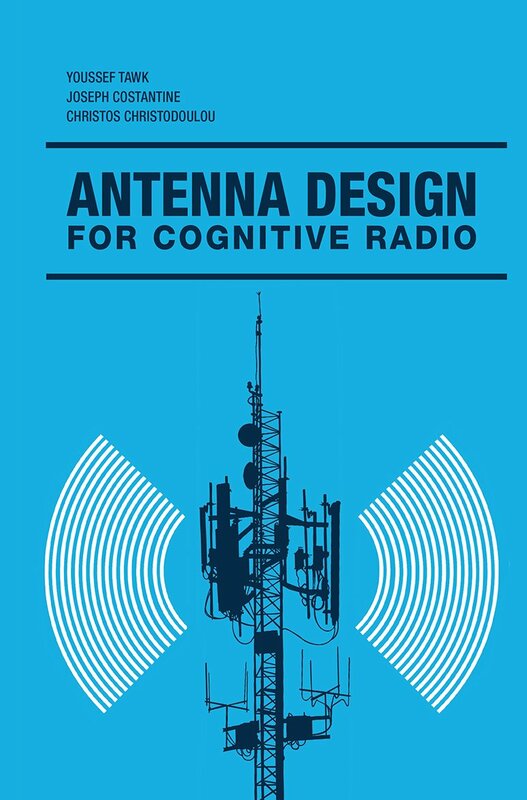 "Antenna Design for Cognitive Radio" introduces the concept of cognitive radio as a protocol that benefits from under-utilized regions of the spectrum. This book covers topics that govern the operation of a cognitive radio and discusses the use of reconfigurable antennas, reconfigurable filtennas, and MIMO antennas for cognitive radio. The analysis and design of different antenna systems are presented, compared and evaluated. Prof. Tawk and Prof. Costantine are alumni of ECE at UNM and former students of Prof. Christodoulou. Prof. Tawk is currently an assistant professor at Notre Dame University Louaize, while Prof. Costantine is an assistant professor at the American University of Beirut.